Discover out-of-the-way places like Dolphin & Whale Watching and Terrigal Beach. 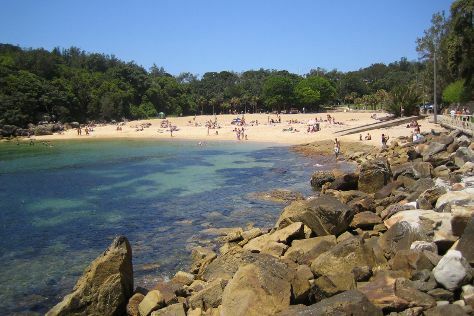 Kids will appreciate attractions like Shelly Beach and Australian Reptile Park. Get out of town with these interesting Sydney side-trips: Katoomba (Wentworth Falls & The Giant Stairway), Firescreek Fruit Wines (in Holgate) and Palm Beach (in Palm Beach). Dedicate the 2nd (Tue) to wine at some of the top wineries in the area. Next up on the itinerary: identify plant and animal life at North Head Sanctuary, get some thrills on the water with a speed boat tour, let the kids burn off some steam at Kissing Point Park, and take some stellar pictures from Govetts Leap. To see ratings, more things to do, traveler tips, and tourist information, use the Sydney trip itinerary builder website . If you are flying in from Denmark, the closest major airport is Sydney Kingsford Smith International Airport. In June, daytime highs in Sydney are 21°C, while nighttime lows are 11°C. Finish your sightseeing early on the 5th (Fri) so you can travel back home.